Home » Grand Mal Adults & Elderly » What Fractures can Result from Grand Mal Seizures? Bilateral intracapsular fracture of hip is one of the rare consequences of grand mal seizure. Such cases have been reported mostly in elderly and adults. This fracture occurs in the proximal end of the femur. Femur is the long bone running through the thigh near the hip. 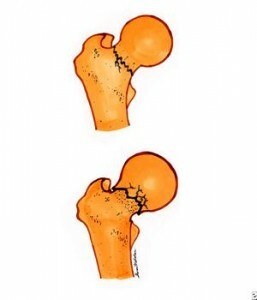 Another complication can also result from the seizure which is called the femoral neck fracture. In this the narrow neck between the round head of the femur and the shaft gets ruptured. This can interfere with the blood flow to the upper end of the femur. Let us see how grand mal seizure causes fractures. How do Grand Mal Seizures Cause Joint Fractures? Grand mal seizure occurs when there is an abnormal electrical activity in the brain. This leads to severe muscular contraction. 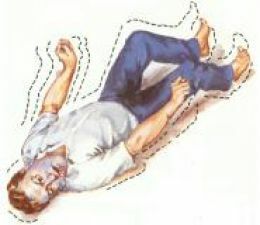 The person almost loses consciousness followed by trembling of the body. The musculoskeletal convulsions cause joint dislocations and fractures. Although such cases have been reported very rarely, the risk of contracting it remains in an incident of prolonged seizure. Physicians often miss them or diagnose them quite late. Delay will increase the chances of morbidity. Thorough musculoskeletal examination should be carried out in patients who have suffered a prolonged seizure and are under ventilation. The patients of grand mal seizures are usually administered with anti-epileptic drugs to ameliorate the symptoms. In case the drug fails, surgical processes are applied viz. vagal nerve stimulation. But in patients who have also suffered joint problems out the seizure, they have to be given additional treatments. The most common one is orthopedic surgery of the hips. However this is quite painful and keeps the patient immobilized for long. Patients are made to get mobilized as soon as possible with the help of physiotherapy or occupational therapy. In case of non-severe femoral fractures screws or sliding screw plates are used. In intracapsular fractures, the broken part is replaced with a metal implant. This also called hemiarthroplasty. Hip replacement also remains an option. But this is suitable for older people compared younger ones. The younger and active ones run the risk of wearing it out. I hope this article on joint fractures due to grand mal seizures was useful and wish all people be restored to good health with proper medical treatment, following seizure.